Seventy years ago, the Indian subcontinent won independence from the British Empire. The result was the birth of two countries. Hindus and Sikhs left the newly-formed Pakistan and headed for India, while many Muslims made the reverse journey. It was a hard migration, with around one million people estimated to have lost their lives in the exodus. Here are the stories of some of the people who lived through that pivotal moment in South Asia's history. Rehan shares a birthday with both India and Pakistan, turning six on the day of independence. As her parents returned to India to arrange their finances, Rehan was sent to Rawalpindi to be with her grandmother. After four months, Rehan’s parents returned -- just in time for Pakistan’s first Eid. But they had witnessed violent bloodshed on their return to India. But Rehan’s parents were home – and that was the most important thing. “We were safe, they were safe and this country was safe for us. I was only a child, but I remember that for years after partition, a lot of the beggars in the streets of Rawalpindi were young girls. They’d gone mad, or had been raped and abandoned. They roamed the streets, lost -- no longer Sikh, Muslim or Hindu." Born in the British hill station of Shimla, Khan lived in a refugee camp outside the city as his family waited to relocate to Lahore. His father, a Muslim doctor, helped in the camp using donated medical supplies. Aged just 7, Khan then fell victim to an attack as he prepared to leave the camp. He recalls the sky lighting up before he was struck by bullets. “My knees felt hot and I could smell blood. My father was shouting. I was wounded, my mother had been shot in the ribs, my sister had been shot and one of our servant’s feet had been blown off. My father spent the whole night tending to the injured in the church. 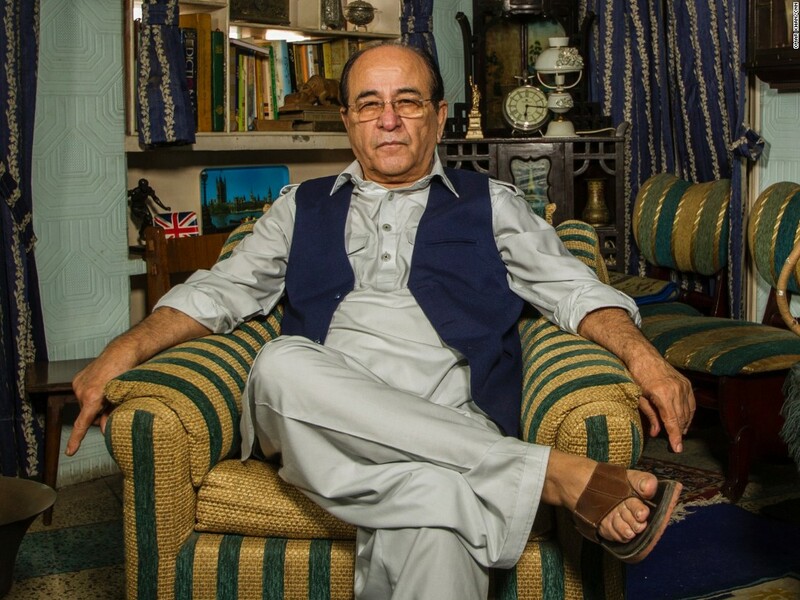 Kemal was born before partition in 1943 in the city of Bhopal and arrived in Pakistan in October 1947. “We took a chartered flight out of Bhopal, we left everything, we only had a change of clothes and I was very young. I remember a green football that I had been allowed to bring back with me, it was the only toy from my old home. We were part of the royal family of Bhopal. I don’t have many memories of the flight. I didn’t realize what a momentous thing was happening, in commercial flights we would get served omelets and on this flight, we got nothing, I was very upset about that. After the trip, everything changed, including his family situation, with his parents separating. Kemal continues to believe in the great possibility of Pakistan and the opportunities life there affords. 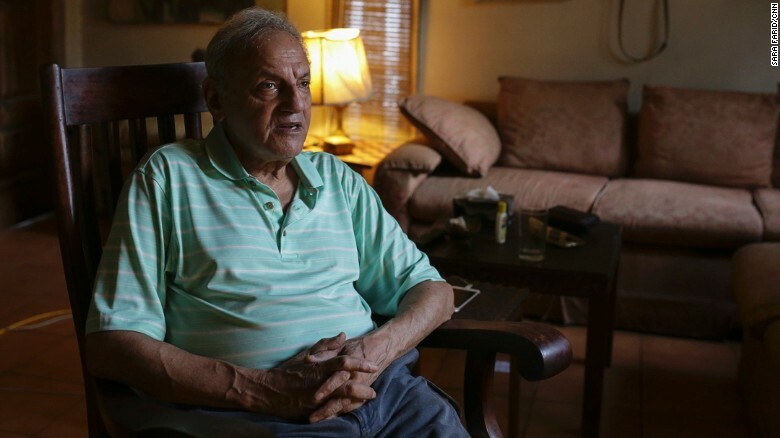 Khan, who was born in December 1939, was just a child when he was forced to flee his family’s village in the mountainous region of Jammu in Kashmir to escape the outbreak of violence. “The villages around us were being set on fire and every day we would get news of something horrible that had been done by the Hindu extremists. My older brother was already in Lahore, and we got news that convoys were deporting from Jammu to Sialkot, just across the new border. The convoys were only taking women and children and the men and the elderly were left behind. It was a cold day, and I remember sitting in the back of the truck with my mother holding me and passing a canal. There were Hindu extremists hiding in the bushes, suddenly I could hear bullets and they came with knives, I clung to my mother and she was pulled out and I fell out with her. I remember them coming to get me, she covered me and they hit her instead, her forehead was bleeding, a gash had been opened. I was clinging to her and she kept saying run Amman, run but I couldn’t leave her, I was covered in her blood, it was very, very, very cold, there was blood and people dying all around me. Khan lost 17 members of his family that day, including sisters, cousins, and most tragically of all, his mother. Khan spent the next 17 days in a refugee camp until his father found him. The two of them then crossed the border into Pakistan to meet Khan’s older brother in Lahore. Despite what Khan was forced to endure, he sees no reason to be bitter. 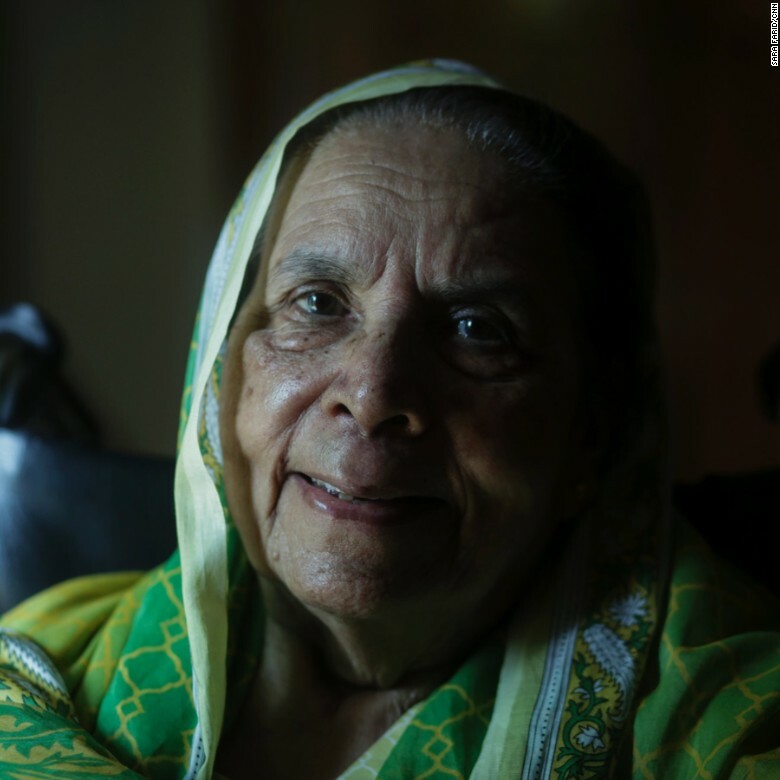 Shaukhat, who was born in 1940, remembers only fragments of her family’s journey by train from Jullundur in India to Pakistan. Shaukhat’s father worked for the railways and was tasked with the responsibility of bringing people safely from India to the new Pakistan. 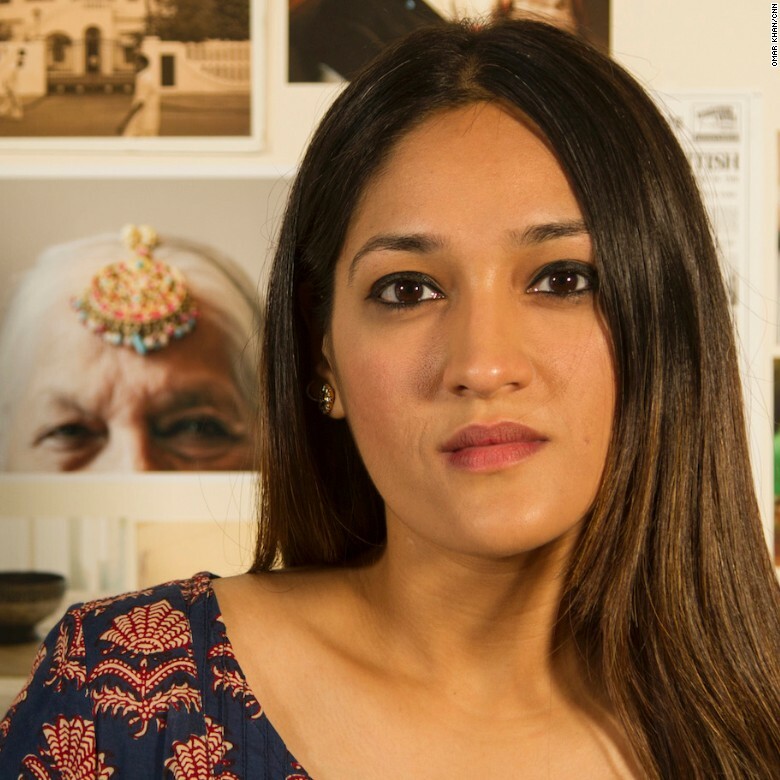 Because of his job, her father had a bounty placed on his head by Indian extremists. Yet, despite the dangers faced by Shaukhat’s family, she maintains that they were among the lucky ones. Haq was born in 1923 in Murree, a Pakistani hill station. Her father was in the army and the family had many Hindu neighbors and friends. Haq, who vividly remembers burning lamps and celebrating Diwali as a child, says life in Pakistan is now very different. 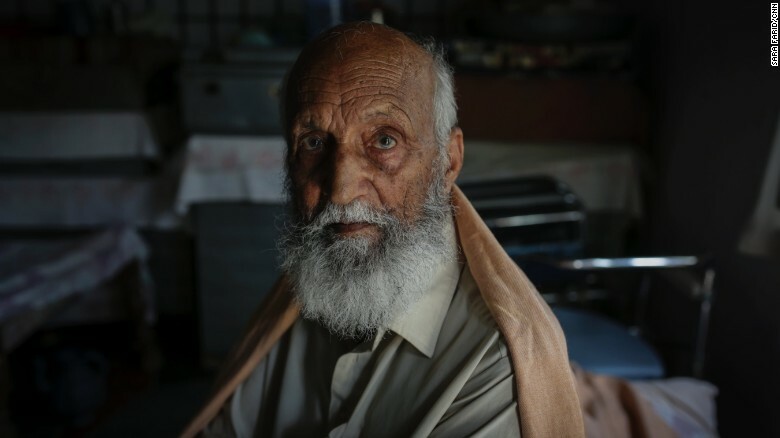 Massi is 101 years old and lives in the Christian slums of Islamabad, where he worked as a tailor. 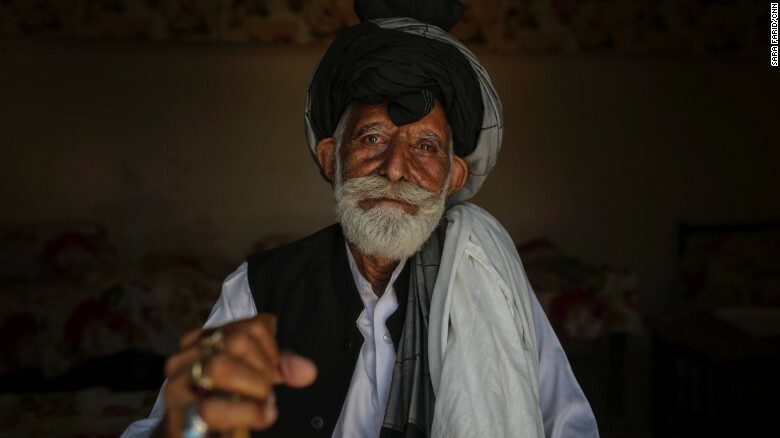 Rehman was born in 1928 and lives in Colingernath, an old village that is now a part of Islamabad. Rehman says his life has not changed much, despite the great geopolitical shifts of the last century. 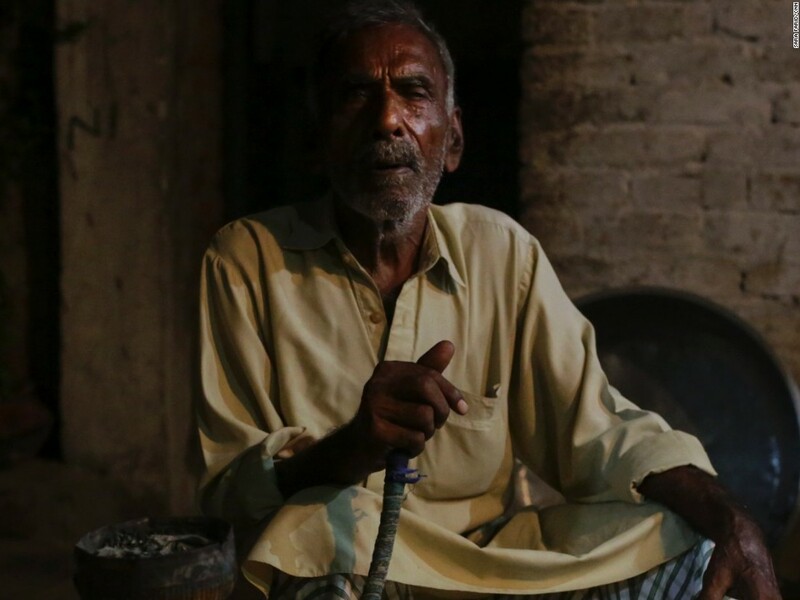 Iqbal, who was born in 1931 in the village of Saidpur, has fond memories of pre-partition life. That sense of harmony was forever lost, says Iqbal, with the news of partition. Shanti left with her family and Iqbal would never see those Hindu friends again. Devendra Nath Nanda was born in Jalandhar, India and went to high school in Lahore. He was 14 years old at the time of partition. Nanda left Lahore with his mother and siblings on August 13 and made the journey to India by train. His father, a civil servant, decided to stay back to collect his last paycheck. But he ran into trouble when he was ready to leave. Nanda’s father finally made his way to the family in Mussoorie, a hilly town in northern India. They went on to move to Shimla, the former summer capital of British India, while Nanda moved to Jalandhar to study engineering. Like countless others, Nanda and his family forged ahead to rebuild their lives. 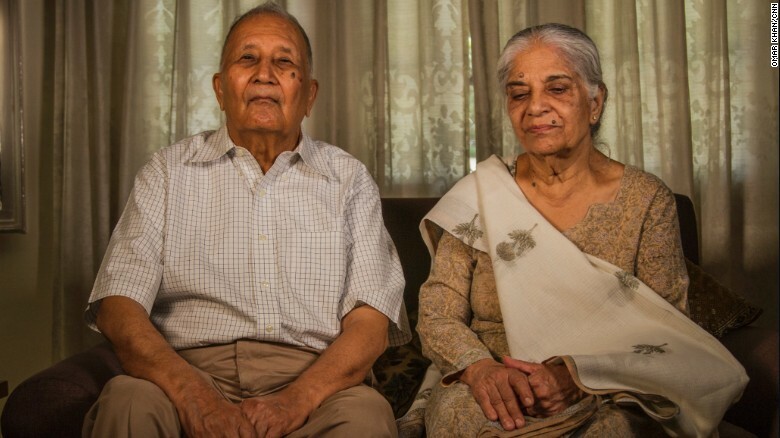 Nanda’s wife Neelam, who he married in 1960, has a similar story to tell. Like her father-in-law, her own father was also intent on staying back, but reality dictated otherwise. While they did witness violence along the way, for Nanda’s wife, the naiveté of childhood shielded them from the trauma. As time moved on, the legacy of partition became but a memory and Nanda is pragmatic about his past. Born in 1940 in Montgomery district, known today as Sahiwal in Pakistan, Rawal was born into a life of privilege. Rawal’s father was a wealthy landlord who at one point owned half the town of Okara, where the family of 11 lived. Bathing in milk, going to school in a horse drawn carriage, there was little to worry about for Rawal and his family. This all changed during the partition. The train finally arrived in the evening and as the families climbed onboard, his older sister suddenly had a change of heart. His sister’s last minute decision saved the entire family. It was not unusual for trains to arrive with all passengers maimed to death. These were known as “ghost trains”. Rawal and his family finally crossed the border in a caravan. It took them three days to reach India. Once in India, Rawal and his family made their way to a refugee camp in Kurukshetra. With no money, they had to learn how to survive. Countless shops and houses had been left empty as people fled across the border. Rawal’s father decided to rent a grocery store. While it helped the family to make ends meet, it was a far cry from their life in Pakistan. 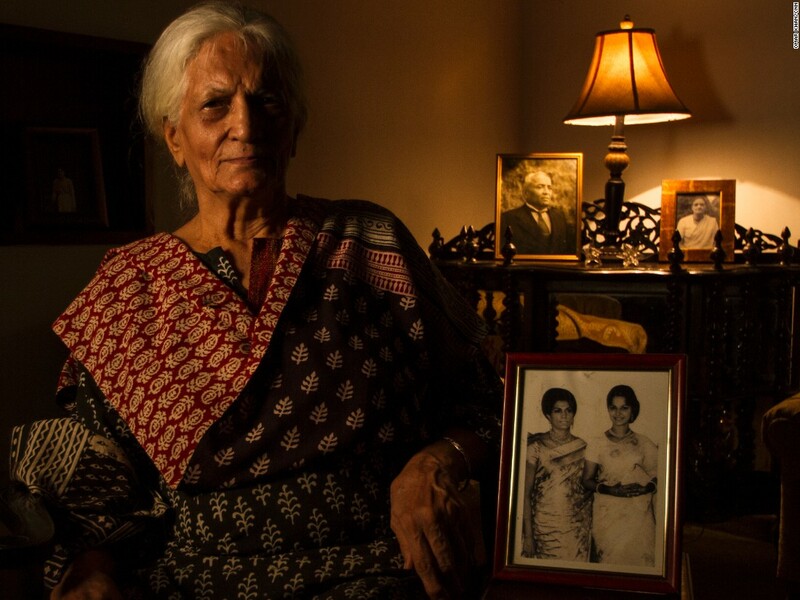 Suneja was 16 when she left her home in Lahore for India. Life was comfortable for the family of nine. Her father was a well-respected lawyer who had defended the socialist revolutionary Bhagat Singh. Suneja’s father decided it wasn’t safe for the women to remain in Lahore and arranged for them to live with relatives in Delhi. Carriages with Hindu passengers were targeted in the violence. Suneja’s older brother K.K. Kapur worked in the film industry. Through colleagues in Mumbai, who were Muslim, he was able to exchange his office in Lahore for three rooms in Delhi. The family may have had a roof over their head but the transition was still tough. The rest of Suneja’s family arrived in Delhi just before August 15 and the family set out to rebuild their lives. Born in 1945, Khan is the descendent of Ajmal Khan, an Indian freedom fighter. He was also a doctor, known as a “hakim,” who practiced Unani, an ancient form of Islamic medicine. The hakims came to India from Egypt during the reign of Babur, who founded the Mughal dynasty in 1526. His empire went on to rule for 300 years. Sitting in the living room of Sharif Manzil, the family mansion that was built in 1740, Khan charts the legacy of his family tree and its subsequent downfall following the creation of India and Pakistan. The hakims never charged for their services. Their philanthropy was supported by royal patronage. For decades, the family’s name continued to prosper and garner the respect of their community. Most of Khan’s family also moved to Pakistan. Sharma was born in 1929 in Gujarat. He grew up in Sialkot district, which is now in Pakistan. After finishing school, he joined the army as a clerk during the Second World War. Once the war was over, he got a job as a customs officer, a job that brought him respect and posted him in various cities and towns. 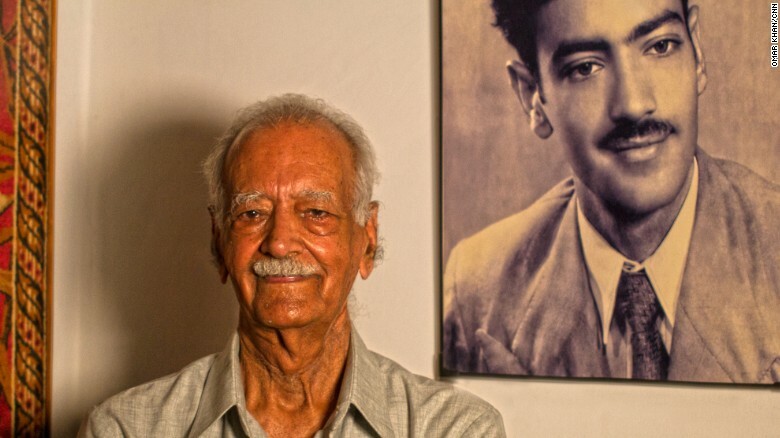 Sharma was 17 during the partition of the Indian subcontinent and lived in Pakistan’s Narowal district at the time. He remembers a great deal of violence in the months leading to independence. The journey to India was long and arduous. After a failed attempt to go to Jammu and Kashmir, still an independent state, Sharma reached a refugee camp in Amritsar. It was in Amritsar where he was reunited with his uncle. The two years that followed would see Sharma continue to search for his family while being posted to various other towns. 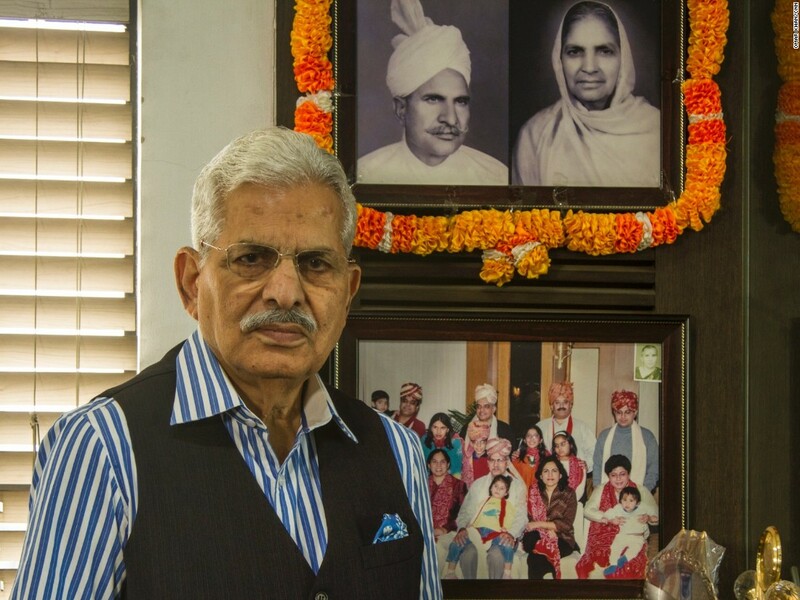 In 1949, in Palampur in the state of Himachal Pradesh, he finally learned that his family had moved to Ludhiana in India’s Punjab state and were safe. Sharma’s tale of searching for family members is not unusual. Families were split apart during the mass upheaval often learning of their relatives’ whereabouts years later. Others never found out. 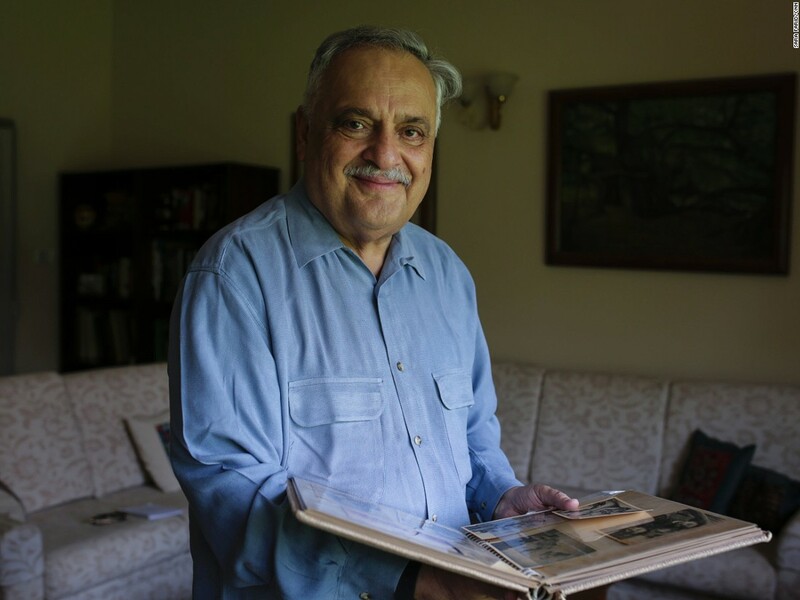 Writer and oral historian Malhotra’s forthcoming book looks at the stories behind the objects that people brought with them as they crossed between India and Pakistan during the partition. Some are ordinary, others are items of value, sentiment and promises of new futures. The idea for the book came after a photographer friend asked for help on a piece on old houses in New Delhi. 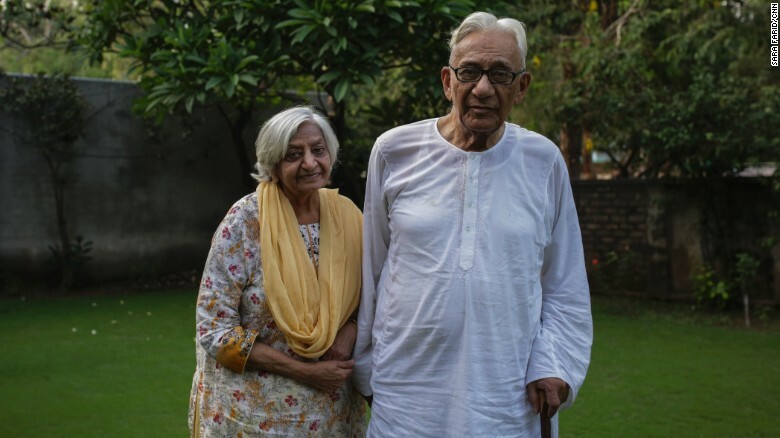 Out of those things, two happened to be from Lahore that his parents had brought just before partition. One was a ghada, which is a vessel in which his mother churned lassi (yoghurt drink) and one was a guz, which is a yardstick used to measure fabric. This “surreal” experience sparked a flurry of questions within Malhotra’s mind. 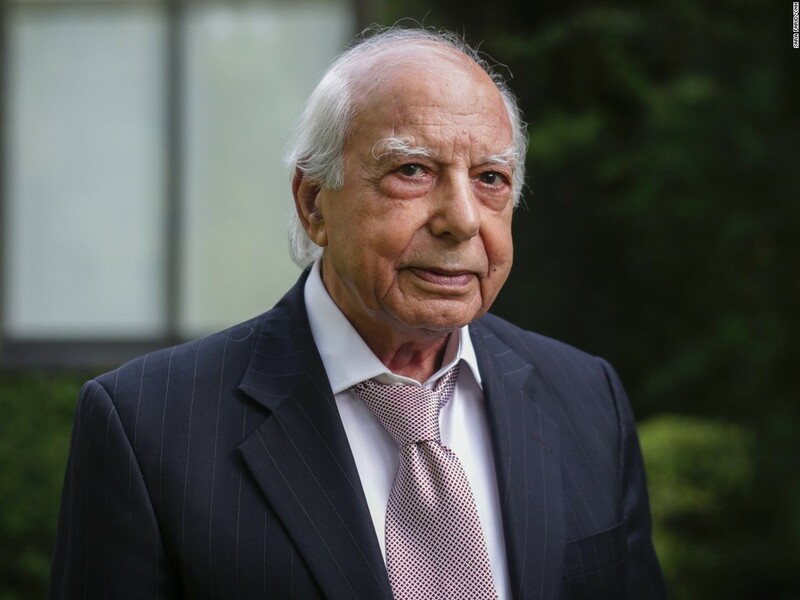 Like others documenting partition, Malhotra is aware that those who witnessed this turbulent period of history may soon not be around to share their experiences. Malhotra began working on her book in 2013. In that time, she has spoken to 50 people in both India and Pakistan. Malhotra does admit that the process has been demanding though crucial for future generations. ‘Remnants of a Separation: A History of the Partition through Material Memory’ is published by HarperCollins. Find out more about Malhotra’s work and the objects documented. Ahluwalia heads the Partition Museum, the world’s first museum devoted to the brutal 1947 split of the Indian Empire into two countries. A small section of the museum opened to the public in October 2016 with around 40,000 people visiting since then. The full launch is slated for August 17 to commemorate the 70th anniversary of Indian independence. The museum is in Amritsar, in the Indian state of Punjab near the Pakistani border, which Ahluwalia says was a conscious decision. This is a museum for the people and by the people with all funding and artifacts donated by the public. The memories and eyewitness accounts that fill the Partition Museum range from harrowing to humbling. “There’s this beautiful love story of the phulkari (embroidered) coat and the briefcase. 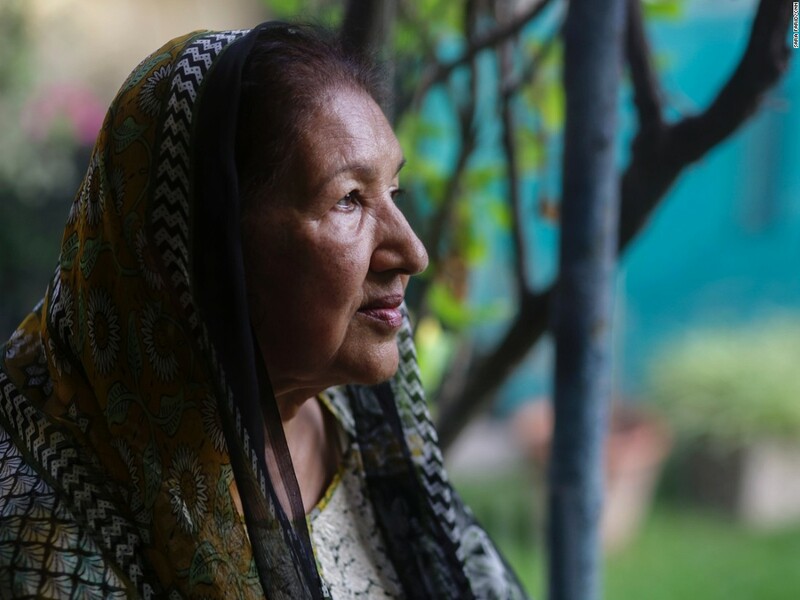 She was engaged to be married but in the chaos of partition she lost contact with her fiancé’s family. When the violence started, a lot of families decided to send the children ahead to safety. Somehow, she managed to make her way to a refugee camp in Amritsar, and she had decided to bring with her this phulkari jacket. If you remember, it is the middle of the summer, it’s the monsoon, it’s a highly impractical thing to be carrying with you but it was just her favorite thing. Through sourcing stories for the museum, Ahluwalia has found most people want to share their experiences. Ahluwalia hopes the Partition Museum will continue to educate visitors, some of whom have been impacted by the event on a personal level. Their suggestion to the Punjab government to memorialize August 17th, also the day that the borders between India and Pakistan were officially announced, as Partition Remembrance Day has also been accepted. Writer and publisher Butalia’s book ‘The Other Side of Silence: Voices from the Partition of India’ is based on the experiences of those who lived through the 1947 partition of the Indian subcontinent. The book, considered a seminal piece of work on the period, came about by chance when she began to help friends research a film on partition. “I traveled a bit around Punjab and Delhi and talked to some people for them, and suddenly started to hear and listen to their stories. Roughly around the same time, 1984 (anti-Sikh riots) happened, Indira Gandhi got assassinated. And suddenly the face of Delhi changed. Butalia’s first step was to go to Pakistan and meet relatives who chose to stay rather than journey across into India. “My mother’s brother stayed behind in Lahore and had refused to come to what became India. He kept the family home, he kept my grandmother back and made her convert. So, my mother and her siblings never saw their mother or brother again after partition. But they always carried this memory of him, this kind of resentment. Published in 1998, Butalia collected stories and interviews for nearly a decade for the book. Butalia adds that for many women who crossed between the two newly created nations, there were other reasons behind the silence. 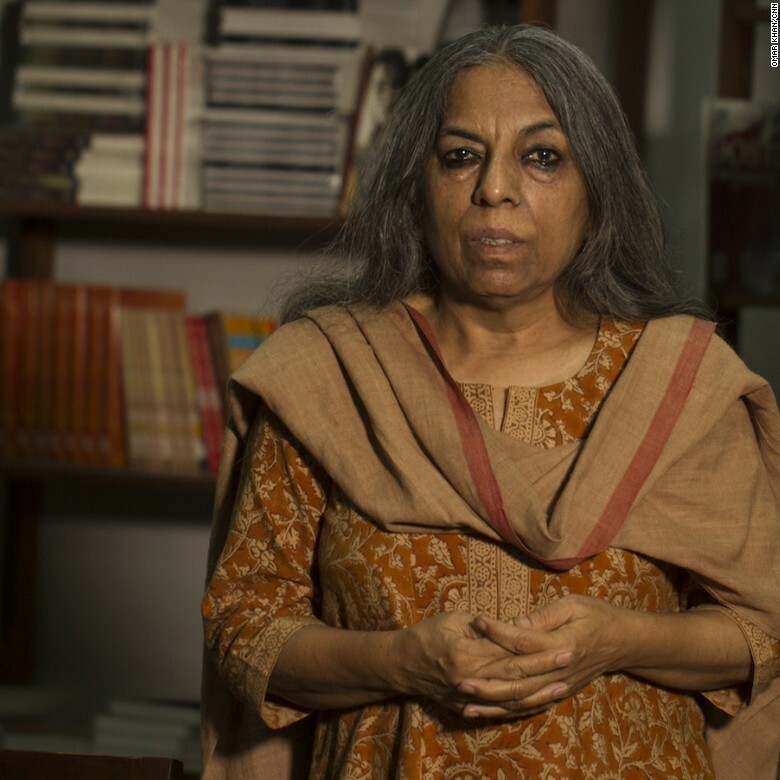 As a writer and publisher who dedicates much of her work to the cause of feminism, Butalia was especially keen to learn about the experiences of women who often find themselves at the fringes of society. “There were a lot of families that killed their own women. There was a real fear in Hindu and Sikh families that the women would be abducted, kidnapped, raped, impregnated and there’s this value that Hinduism lays in purity and in pollution. Nearly 20 years after her book was published, the stories shared with Butalia remain with her. 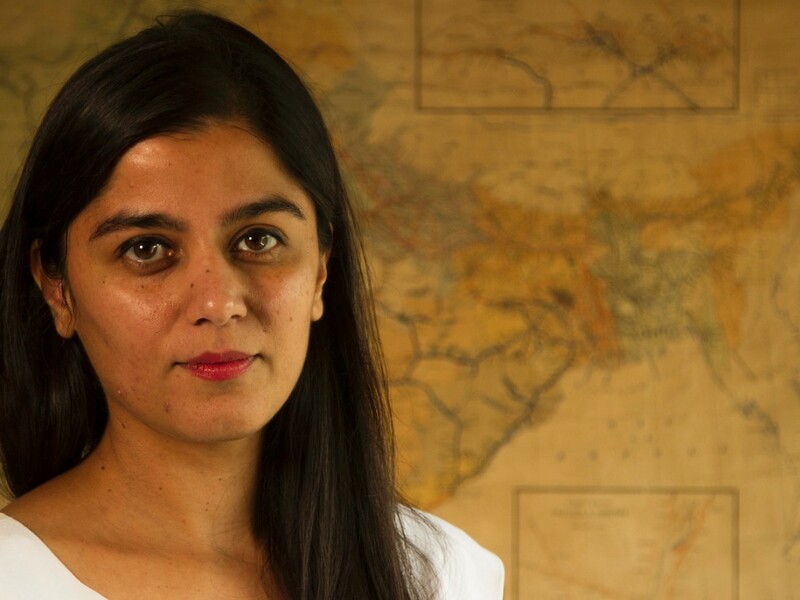 She also believes the legacy of partition is an intrinsic part of the tumultuous relations between India and Pakistan that followed. “Partition is there in everything. The most obvious thing is the impossibility of crossing borders. You see it in the Indus Water Treaty, you see it in the fact that they are not able to trade with each other openly. You see it in the hatred of the Muslim in India and it’s there in every bit of violence that takes place between communities. I don’t think traumatic histories disappear with such ease. Countries need a deep maturity to be able to confront them and our two countries don’t have that. This is the dark side of independence and in order to confront it, we will have to allow ourselves to admit that we were sort of complicit. It’s not like, they were the bad guys, we were the good guys.